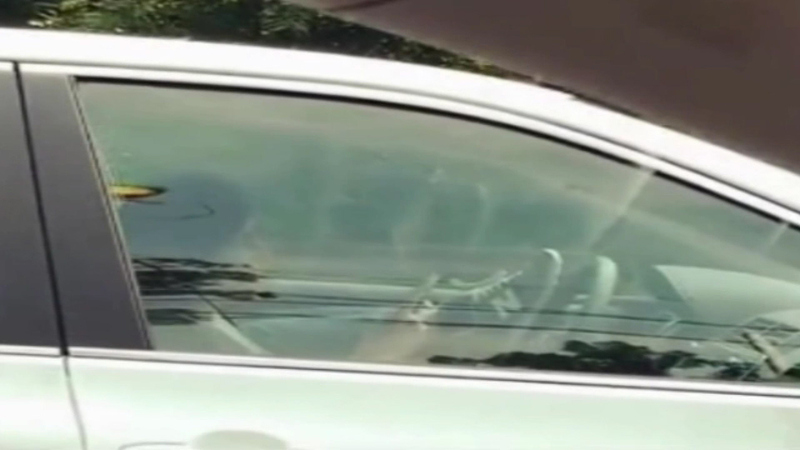 CENTER CITY (WPVI) -- A woman was caught on video not only texting while driving, but steering the wheel with her feet on the Schuylkill Expressway. 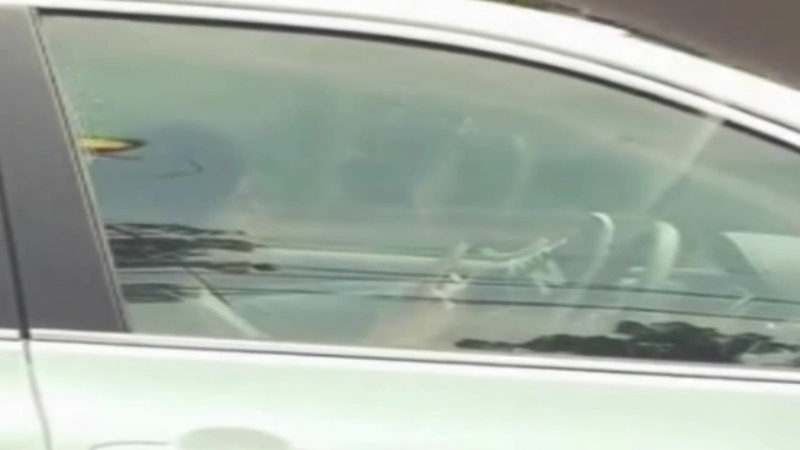 A woman is caught on camera texting with two hands, and driving with one foot up on the steering wheel! 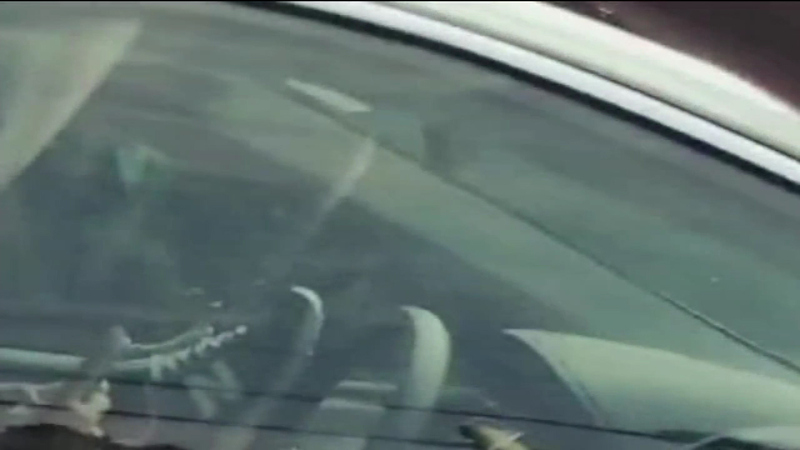 It was a case of reckless driving so egregious Sarah and Shawn Delong had to record it. "Someone is going to get killed, that's why I was so mad. You see people on their phones all the time, but that took the cake," Sarah told Action News Wednesday night. From the passenger seat of their car, Sarah started recording on her phone. 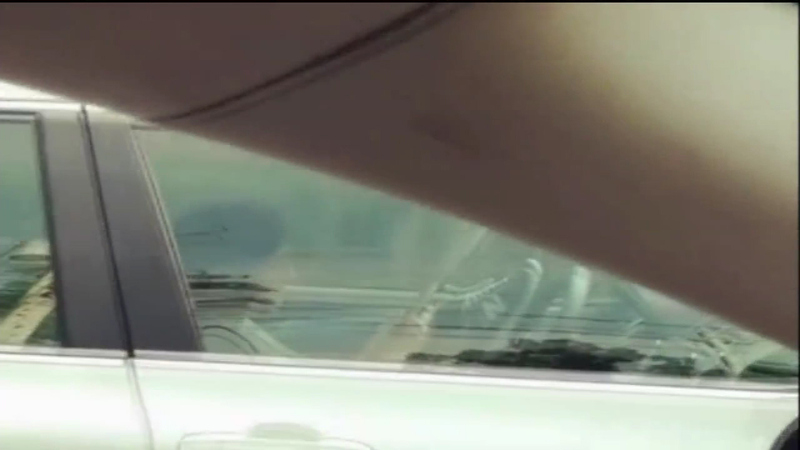 The Delongs followed the woman's car for quite a while, and her distracted driving continued. "For a good 20 minutes we were in her vicinity whether it was beside her or behind her," Sarah said. 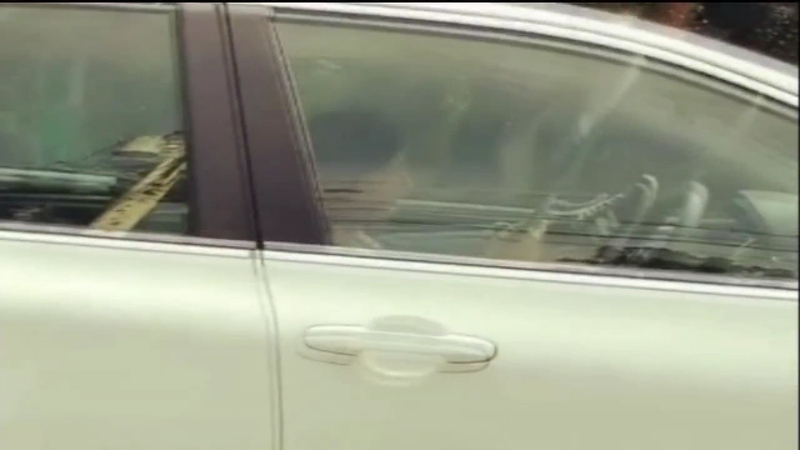 A woman was captured on video texting with her hands and driving with her feet on the Schuykill Expressway. Sarah and Shawn did try to get her to stop her dangerous activity. "At one point we beeped at her and I yelled 'get off your phone!' And she looked and smirked at me and went right back to doing whatever it was on her phone," Sarah said. 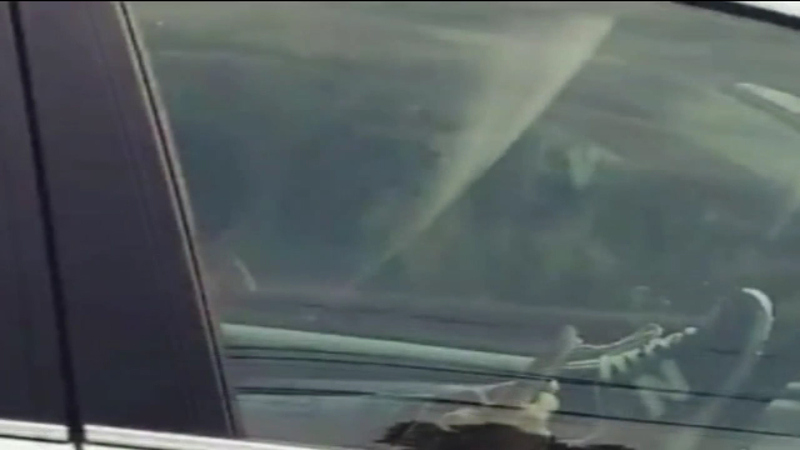 "I've seen people reading and writing with their documents, but not driving with your feet!" Shawn said. The Delongs say there were points where the woman was swerving. "To see her on 76 and then going down towards Center City, that I couldn't believe," Shawn said. But when reckless drivers like this don't stop, and end up in an emergency room, trauma surgeon Dr. Pak Leung at Einstein Medical Center says it's frustrating to know they've risked their lives for a simple text. Dr. Leung explains, "The number is definitely going up. I think about three year ago we'd probably see one maybe every other day. But now we tend to see it if not one, two times a day." Sarah tells us she did get the license plate number on the car and called state police, but they haven't gotten back to her. However, Action News spoke to Philadelphia Police, who explain that police officers have to catch the person in the act. Other than that, it's pretty hard for them to do anything. Incredibly, the video is not unique to our area. 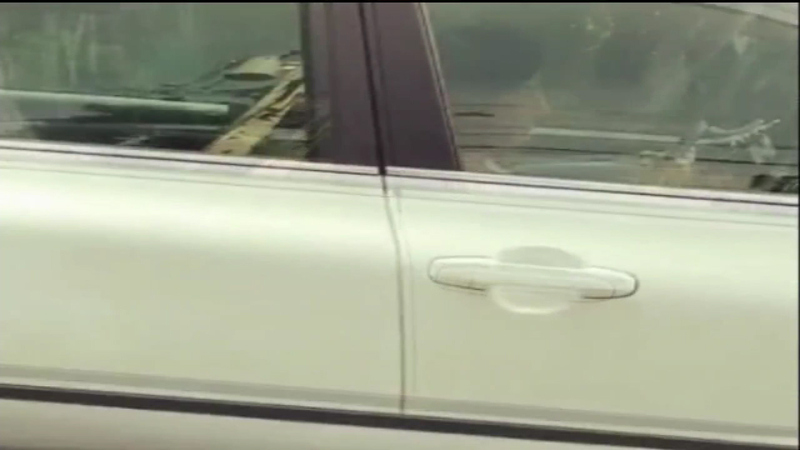 Just last week, a Colorado woman was caught texting while speeding down the interstate with one leg propped up on the dashboard. 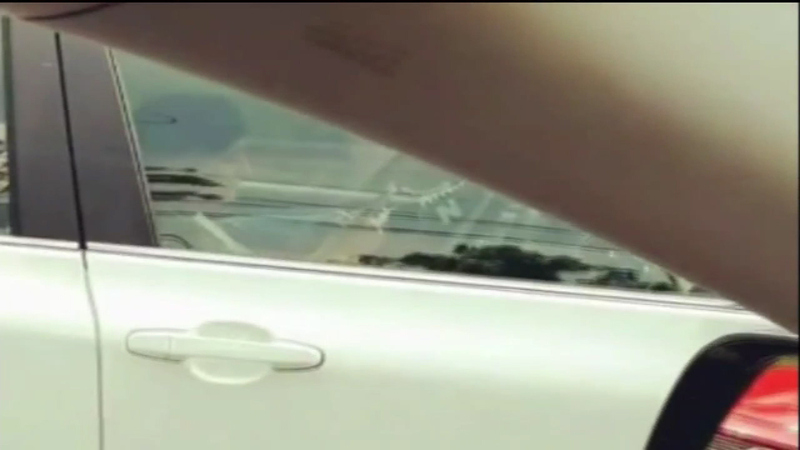 A worried passenger in the next car captured the 47 second clip and posted it to Facebook. It has since been seen and shared thousands of times.